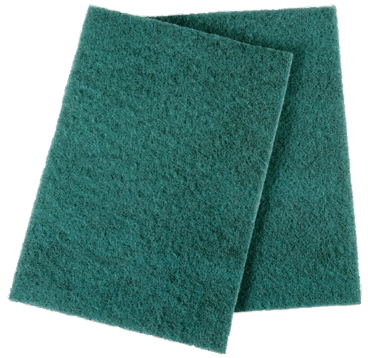 General Purpose: These green pads have resin, but not abrasive grain, to give a gentler cleaning and scouring action on most surfaces. 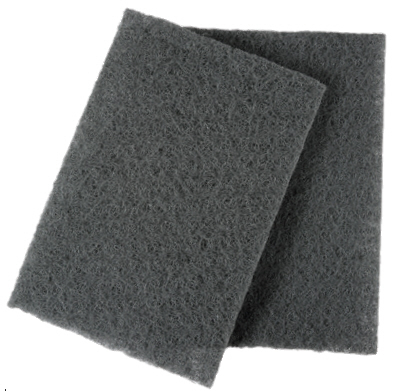 Super Cut: These are very durable hand pads and fairly coarse cutting. For finish a good lower cost option would be Medium S.
Medium S: This is surprisingly effective on metal, including stainless steel, giving similar results to some 'Coarse A' pads. Fine A: Good for smoothing wood and rubbing down old paint prior to painting. Very Fine A: A softer handpad, ideal for curves and shapes. Good for sculpture in wood or metal. Ultra Fine S: For final rubbing down of fillers or between coatings on multi-layered surface treatments. Equivalent to grade 1000. 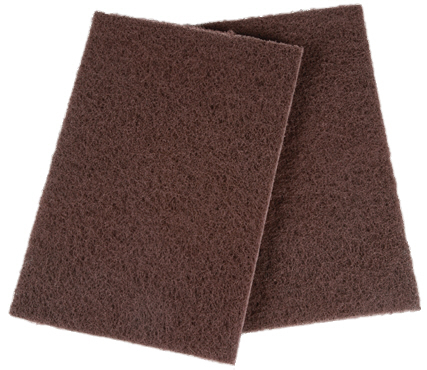 Made from non-woven fleece type material impregnated with selected resin and abrasive grain. Highly flexible. Can be folded, cut, stuffed in recesses etc. Resistant to loading. The open structure helps avoid clogging up. Shake off dust and continue to use. Size: Approx 9in x 6in, 224x158mm. 'S' Grades are grey in colour and use silicon carbide abrasive. 'A' grades are maroon and use aluminium oxide abrasive. General purpose pads are green. Supplied in packs of 10 pads, with additional discount offered on batches of 50. Mixed Set Offer: The mixed set pack below includes 20 General Purpose hand pads and 10 each of the other 4 grades, ie 60 in total.